MATRIX, the learning management system (LMS) for businesses from CYPHER LEARNING, will be exhibiting at DevLearn 2017 in Las Vegas, Nevada between October 25 - 27. 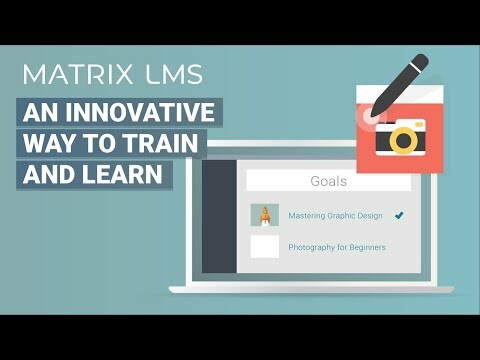 SAN FRANCISCO, CA, October 04, 2017 /24-7PressRelease/ -- MATRIX, the learning management system (LMS) for businesses from CYPHER LEARNING, will be exhibiting at DevLearn 2017 in Las Vegas, Nevada between October 25 - 27 where it will be announcing the latest updates about new and upcoming features of the system including ad-hoc reporting and compliance. DevLearn is the place where the future of learning comes alive, putting attendees at the forefront of what's happening in the learning industry. Visitors will discover the latest in cutting-edge technologies and can take part in the conversations around the future of learning. The expo is filled with more than 120 leading industry suppliers with innovative tools and technologies. During the event, attendees can visit MATRIX in the expo hall at Booth #701 where the MATRIX team will be ready to provide live product demos, answer questions, and discuss online training, learner engagement, and 21st Century learning solutions. The latest compliance feature allows instructors to select courses or learning paths that are required for compliance, then set up for how long a learner is in compliance once they've completed the course or path, and whether they need to renew their compliance periodically. Users can also set up rules that are triggered when compliance is almost due, and when a learner goes out of compliance. The systems new ad-hoc reporting feature allows administrators and instructors to create custom reports using parameters defined by them. Users can save reports, schedule them, set filters that constrain which items are added in reports and choose from various chart formats. Click here to find out more details about MATRIX at DevLearn 2017. CEO Graham Glass will also be available for interviews during the event. To schedule an interview or for other press related inquiries, please contact us at marketing@cypherlearning.com.